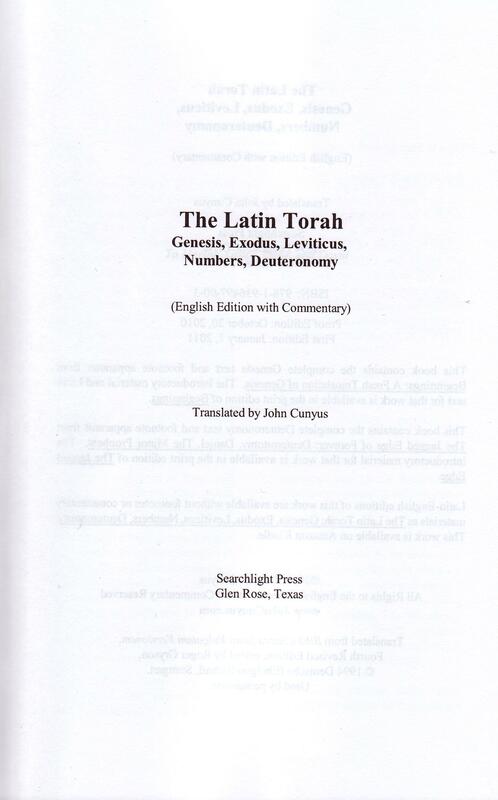 Click here for sample verses from the version by John G. Cunyus. Contents: Paperback, 228 pages. Psalms 1 - 150, Ps. 151 added as footnote; Chapter numbering acc. to the Vulgate. 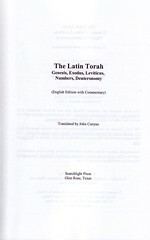 Latin text used from "The Latin Vulgate, Biblia Sacra Iuxta Vulgatam Versionem", 4th revised Ed., edited by Roger Gryson, © 1994 Deutsche Bibelgesellschaft, Stuttgart. Foreword written by Rev. Joseph Harker. John G. Cunyus wrote in »About the Project« the grounds for his »translation from a translation«. - Scripture text printed verse- wise, titles included. Few Annotations. Contents: Five Books of Moses according to the Vulgate. Guideline: How to Pray the Scriptures. 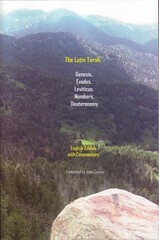 Introduction to Pentateuch. Scripture texts in 2 columns with annotations. Comments: Paperback octavo 468 pp. 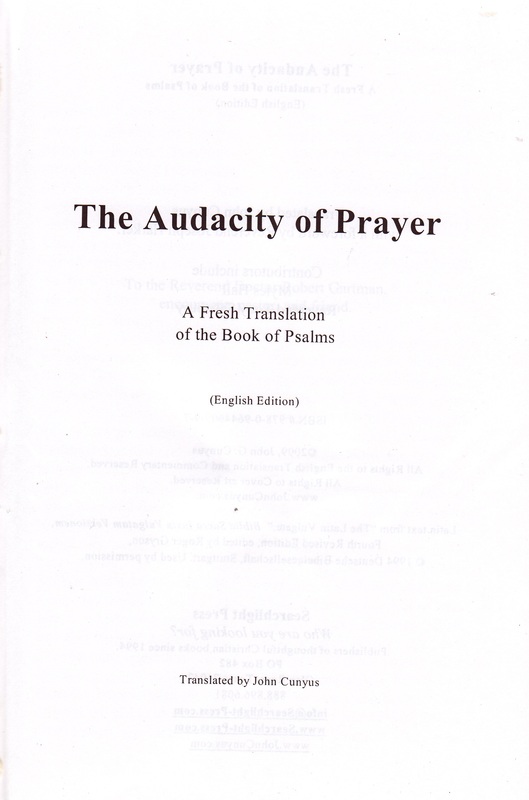 Underlying Vulgate Edition see: »Psalms«. Cunyus maintains that the destruction of the Temple in 587 B.C. precipitated the emerge of the written Torah, which may have existed at least in parts and oral traditions prior to the devastation of Solomon‘s Temple. - Key words are printed in Hebrew script, translated and explained. Texts presented verse- wise. 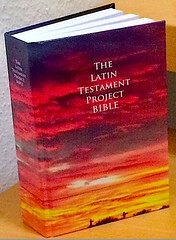 Title: The Latin Testament Project Bible. [By] John G. Cunyus. 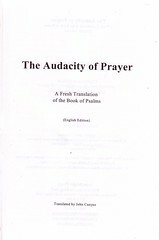 Translated from / „Biblia Sacra Iuxta Vulgatam Versionem“, 4th revised Ed., edited by Roger Gryson, © 1994 Deutsche Bibelgesellschaft, Stuttgart. 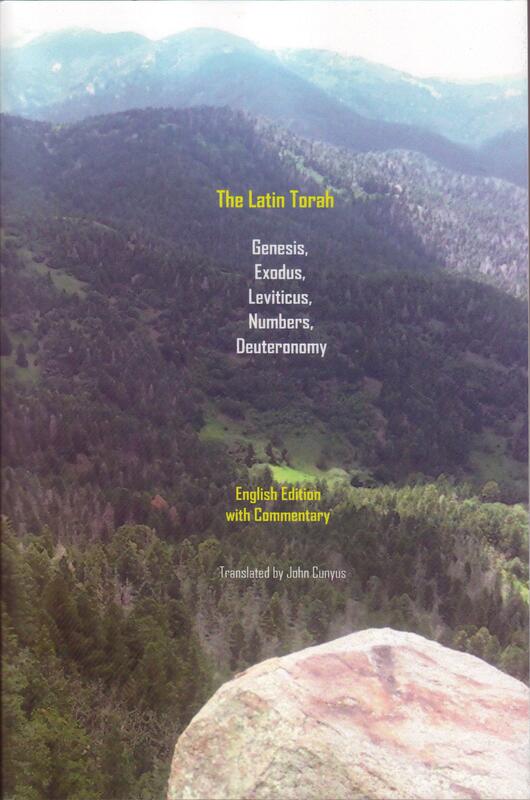 Contents: OT after the Hebrew Canon: The Torah • The Nevi´im • The Kethuvim •• The Apocrypha: 1 & 2 Maccabees, Wisdom, Sirach, Baruch, Judith, Tobith. •• The New Testament. •• About the Latin Testament Project Bible •• 3 Color Photos. Comments: Hardcover large octavo, 942 & (2) pp. ; Scripture text in double column, few footnotes. Words attributed to God / Jesus = Blue / Red text. Purple text = Chapter & Subject headings, Midnight Blue text = Apocrypha, Black text = Canonical text and versification. No cross–references. 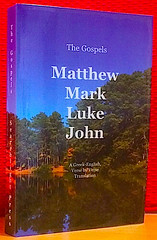 Title: The Gospels • Matthew Mark Luke John. A Greek–English Verse by Verse Translation. 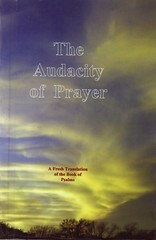 Translated by John Cunyus. Contents: The Gospels. •• Table of Contents • Translator´s Note • When Were the Gospels Written? • Note to Teachers • Greek Alphabet and Diphthongs. Comments: Softcover large octavo, 435 & (4) pp. ; Scripture text in double column, verse–wise Greek / English; Book introductions and outlines; paragraph headings; end notes, also with cross–references. Words attributed to Jesus in red print (in translation only). 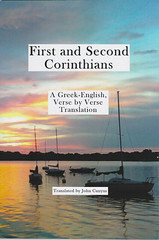 Title: First and Second Corinthians • A Greek–English Verse by Verse Translation Translated [by] John Cunyus. Comments: Softcover large octavo, 125 pp. 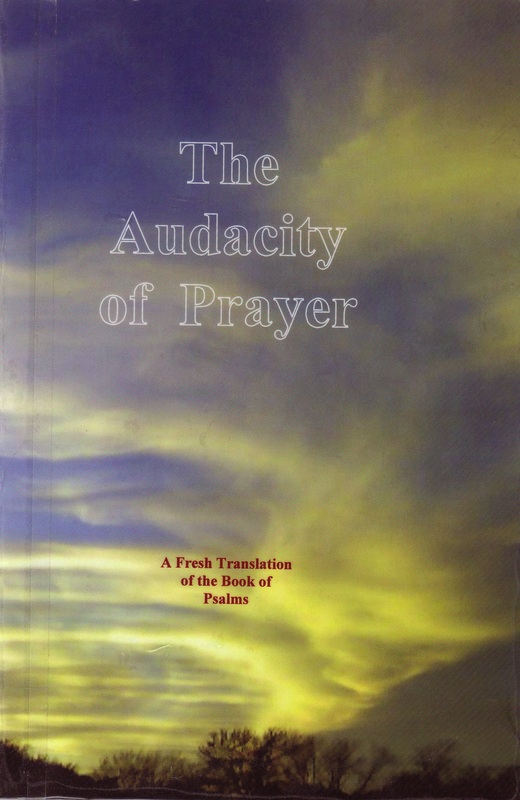 ; Scripture text in double column, verse–wise Greek / English; Introduction to the Apostle Paul and the Corinthian setting; book outlines; paragraph headings; text notes, also with cross–references.